(Mar. 26, 2019, Rye, NY) – According to a recent consumer study, consumers shared six top reasons why they keep stashes of cash and what might motivate them to invest their piggybanks, according to a new report by. The study, conducted by the consumer investment-research firm Hearts&Wallets and titled “Motivations to Move Cash into Investments” – is from the Explore Qualitative™ series Shopping for Advice While Aging Gracefully, explores the increase in older consumers who hold high levels of cash. “Motivations to Move Cash into Investments” includes recommendations for financial services firm on how to lay out options on a liquidity range between the two extremes of cash and retirement accounts help consumers with their decision-making and enhance accessibility. The consumer verbatim also illuminate how to talk about this important issue with consumers. Other reports in this series examine moving money, the changing needs of an aging population, and industry-level questions about pricing of advice. This national research includes participants ages 53 to 70 who have sole or shared responsibility for investment decisions with $500,000 or more in investable assets, excluding real estate, and $250,000 outside their workplace retirement accounts, who are actively involved in money movement. The groups were segmented based on their interest and involvement in managing their finances and the depth of personal financial advice they sought. Older consumers have been increasing their allocation of cash in their portfolios over the past few years. Consumers 55 to 74 years of age with $500,000 or more in investable assets held 18% of their investable assets in cash in 2017 and upped the percentage to 22% in 2018. Women hold more than men, having over a quarter (26%) in 2018 vs. 19% in 2017 while men were 20% in 2018 vs. 17 in 2017. There are 8 million households in this demographic, but the trend applies beyond this consumer group. The trend also holds for younger consumers who also hold high concentrations of cash. Part of the reason behind increasing cash stashes is that older consumer are confused about the nature of “cash.” They say they aren’t sure if cash is folding money, liquid accounts like saving accounts and CDs, cash in a brokerage account, or cash as an asset class. 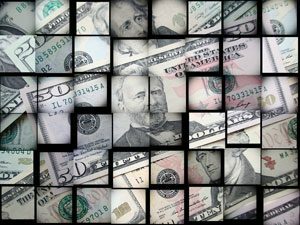 Consumers named six top reasons why they keep large amounts of cash in the qualitative research. These reasons broke down into two categories – one based on personal finance motivations and the other on investing. The most-often cited rationale was funding emergencies without having to dip into investments and incur taxes. From natural disasters to job loss to health concerns, consumers say it pays to be prepared. Another reason is to have funding on hand for large one-time transactions from vacations to cars rather than running up a credit card debt, or incurring taxes and fees in withdrawing funds from the market. Consumers also say they are waiting for the right investment opportunity. Some cite the “burden” of decision-making as keeping them from acting. A common benchmark remains a cash “emergency fund” that equals six or more months of expenses, consumers say. Hearts & Wallets Investor Quantitative™ Database finds less wealthier Americans are even more likely to keep higher concentrations of cash. In addition to the reasons for holding cash, the report identifies specific solutions for firms to help consumers get reinvested. One important step is to develop more reasonable definitions of emergency funds vs. contingency funds to help consumers understand their range of options. The Hearts & Wallets Explore Report Exercise: “Motivations to Move Cash into Investments” is from the Explore Qualitative™ series Shopping for Advice While Aging Gracefully. The research is based on two national focus groups conducted last fall in Boston and St. Louis with consumers ages 53 to 70 who have sole or shared responsibility for investment decisions with $500,000 or more in investable assets, excluding real estate, and $250,000 outside their workplace retirement accounts, and who are actively involved in money movement. The groups were segmented based on their interest and involvement in managing their finances and the depth of personal financial advice they sought.